A book that does pretty much what it says on the tin, providing an 'astronomer's guide' to the universe. 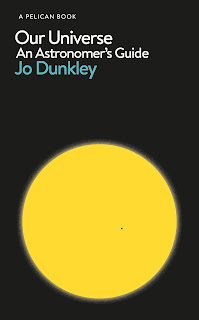 Jo Dunkley does so in an approachable, non-technical style, generally speaking not doing anything that a number of other such guides haven't done in the past (all the way back to the likes of Patrick Moore), but with good up-to-date content. And without going over the top on the physics, there's a fair amount of astrophysics as well, from the mechanics of stars to dark matter and dark energy. If the book has a USP other than being up to date, it is in its claim to give us 'the electrifying story of the deep history, latest science and forgotten women who illuminate our understanding of the cosmos.' I don't think Dunkley's calm writing style can really be described as electrifying, but I'd certainly agree that the science and deep history is up-to-date. 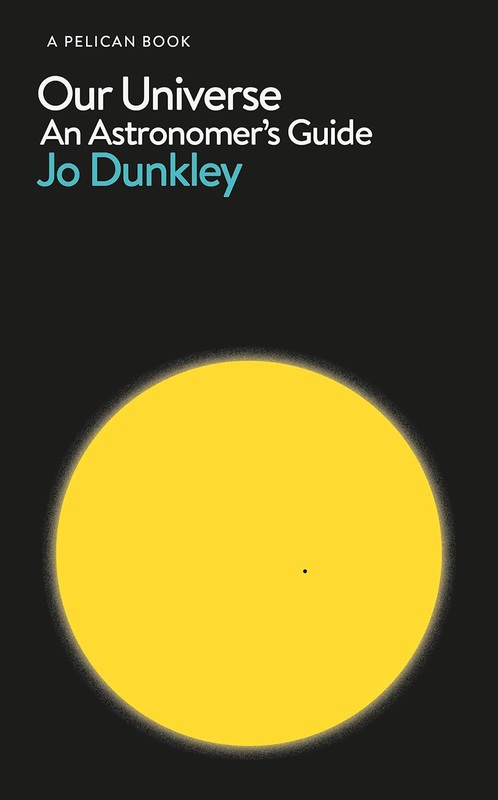 Dunkley is at her best when either bringing out some small detail - I love her description of the future of the star Betelgeuse, and the cover image is another good one, showing the relative size of the Sun and the Earth - or when she's delving into the expansion of space, which she handles particularly well. There's also another excellent and rarely mentioned example in the interesting observation that multiple images caused by gravitational lensing will give views of a location from different points in time. There is a bit of a problem with the 'forgotten women' part, though. Female astronomers such as Henrietta Swann Leavitt, Cecilia Payne-Gaspschkin, Vera Rubin and Annie Jump Cannon certainly could have been described as providing 'previously-overlooked stories of pioneering astronomers' 20 years ago, but I haven't read a single good astronomy book in recent years that didn't give them their full due. Accordingly it reads slightly oddly when Dunkley only gives biographies to her female selection, but doesn't do so for, say, Hubble. There also seems a bit of a bias towards US women - Jocelyn Bell-Burnell, for example, is mentioned does not warrant a biography. This US bias (strange from a Pelican book) comes across also in the use of units, where bizarrely, when not employing astronomical units, distances are given in miles or inches (except for one example where centimetres are used). The only real disappointment in science content was over dark matter where in a whole chapter on the topic, all of a page is given over to modified gravity, only to pretty much dismiss it by giving an example where dark matter fits but MOND doesn't (the Bullet cluster) without mentioning the various factors (galactic rotations curves, for example) where modified gravity works better than dark matter. We might have expected, after so many failures to find dark matter candidates, that a more balanced approach would be taken. Overall, though, an excellent purchase for a beginner who wants to get a feel for modern astronomy.